The Department of Fisheries and Oceans has charged a business and its owner in southwestern Nova Scotia with selling lobster caught under an Aboriginal communal fishing license. DFO says it laid charges against a company named 9902848 Canada Inc.-Guang Da International and its owner, Sheng Ren Zheng, following a nine-month investigation. The company owns a fish processing plant in Belliveau’s Cove, Nova Scotia. 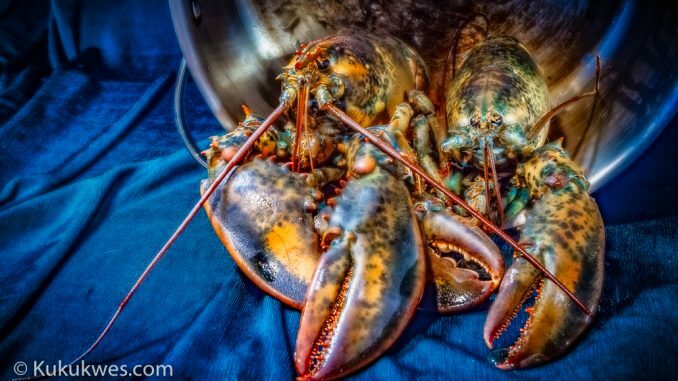 According to DFO, it began its investigation in October 2017 following an inspection of a lobster shipment at Halifax Stanfield International Airport. The shipment was seized and search warrants were executed at the company’s fish processing plant. DFO alleges the company and its owner were selling lobster it believed was caught under a food, social and ceremonial license under the Aboriginal Communal Fishing Licenses Regulations. 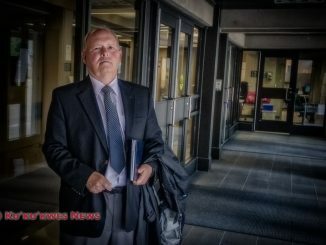 The company’s owner is scheduled to appear in Digby Provincial Court on Sept. 11. 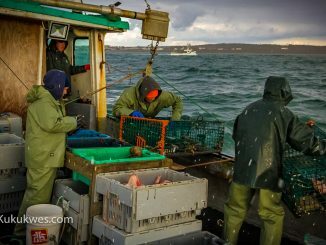 Tensions ran high between Indigenous and non-Indigenous fishermen in southwestern Nova Scotia during the fall of 2017 over the lobster food fishery. Non-Indigenous fishermen accused Indigenous fishermen of misusing the communal fishing licenses by selling the lobster instead. The non-Indigenous fishermen also accused DFO of not enforcing regulations relating to the Aboriginal food fishery. DFO established the Aboriginal Fisheries Strategy in 1992 following a landmark court decision regarding the Aboriginal right to fish. In 1990, the Supreme Court of Canada ruled that Ronald Sparrow, a fisherman with the Musqueam Band, B.C., had an Aboriginal right to fish for food, social and ceremonial purposes. Under the Aboriginal Fisheries Strategy, DFO issues Aboriginal communal fishing licenses to First Nation communities so its members can fish. However, Mi’kmaq, Wolastoqiyik (Maliseet) and Peskotomukati (Passamaquoddy) in the Maritimes also have a treaty right to earn a moderate livelihood from the commercial fishery. That right was affirmed from a 1999 Supreme Court of Canada involving Mi’kmaw fisherman Donald Marshall, Jr. from the Membertou First Nation, N.S. In the ruling, Canada’s highest court ruled that Marshall had a treaty right to catch and sell fish under the 1760-61 Peace and Friendship Treaty signed between his ancestors and the British crown. 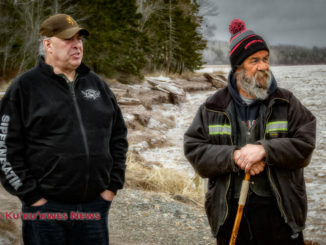 DFO has appointed Jim Jones as a federal negotiator to meet with First Nation leaders in the Maritimes and Gaspé region of Quebec to discuss what a moderate livelihood means to them. To date, Jones has met with all but one First Nation in the region.